Can you became a Master (Black belt) Coder? Control your world by learning the code that controls all digital objects from a simple digital clock through to complex robots and communications. Imagine if you could not speak to another person! In fact many people can not. So, humans have invented a ‘signing code’ to solve this problem. Code is simply a set of instructions to make something happen. To begin your training you need to understand what code is and why it is so important in our lives. 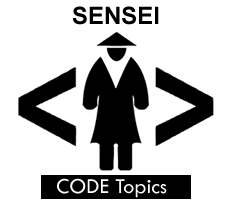 Listen to a very fast history of human coding below and discuss as a class.